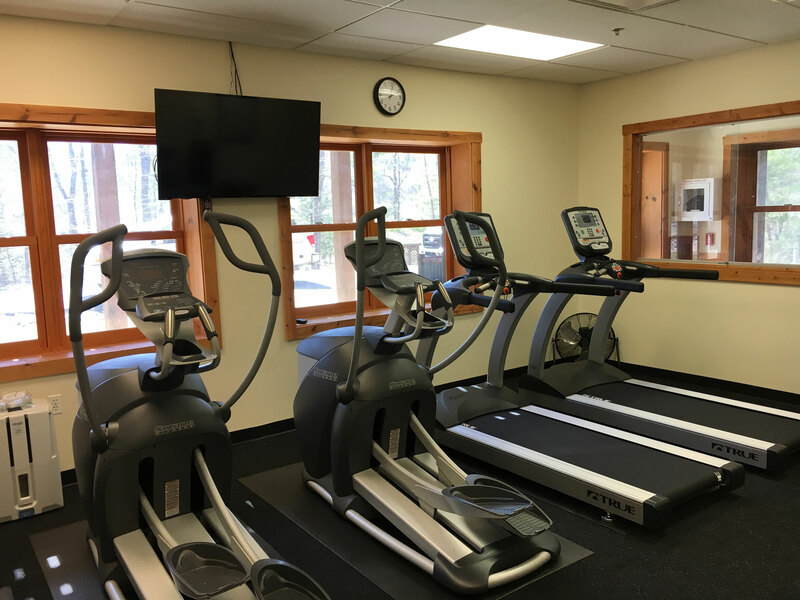 Capital Retreat Center is excited to provide our guests a fully-equipped, modern fitness center and much-requested training facility. Guests can enjoy this work-out space during their retreats. 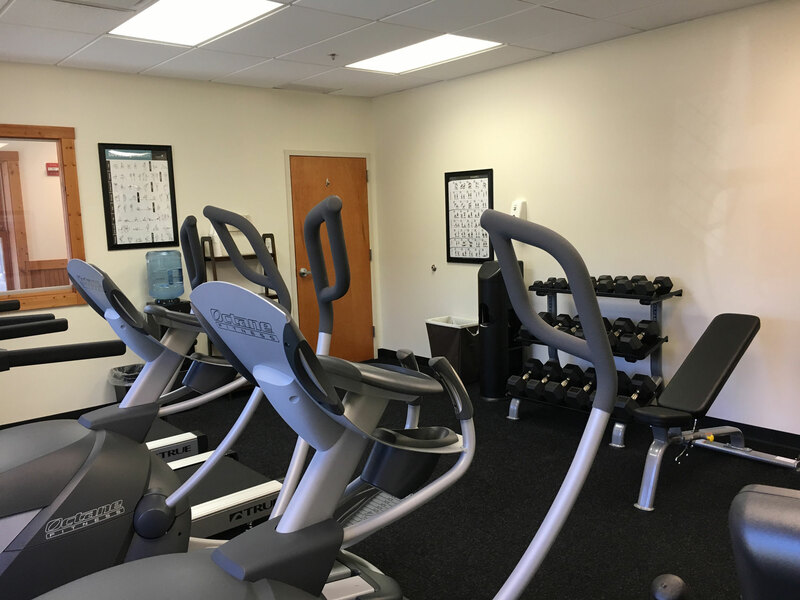 The fitness center is located across from the Dining Hall Lower Level Meeting Room and includes state-of-the-art cardio and strength equipment. 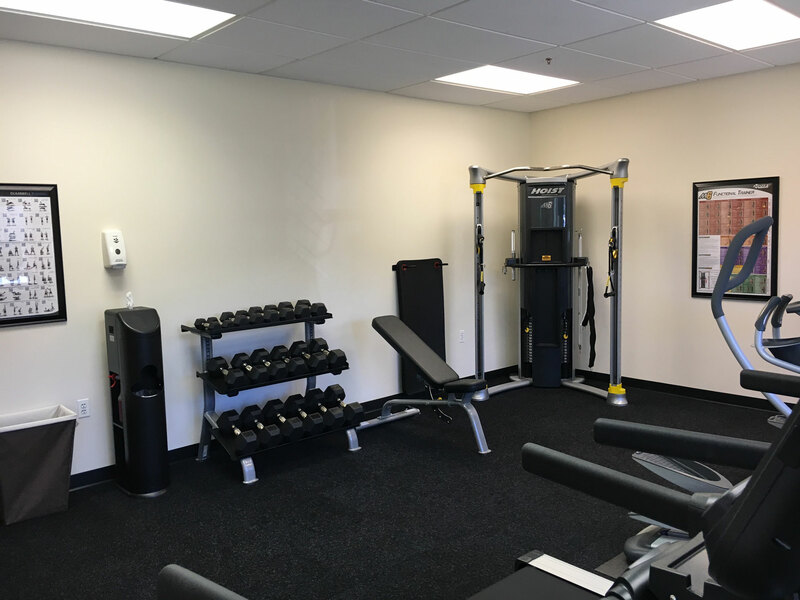 The layout of the equipment is designed in a way to maximize the beautiful views of our facility and the fitness needs of our guests, providing users a view of the outside world as they workout. The windows along the front wall of the fitness center provide natural-light elements that are warm and inviting. Carlos Sanchez, one of our Guest Services Team members, is certified to provide one-on-one fitness training and activities for guests. Capital Retreat Center understands the importance of enjoying an active lifestyle and we’re committed to providing an environment that supports that philosophy, both inside and out!